In large stock pot, add water and salt. Bring to a rolling boil. Add spaghetti and bring back to a simmering boil. Cook as directed on package (varies by brand), usually 10 to 12 minutes. Cook a minute less for al dente (somewhat chewy). 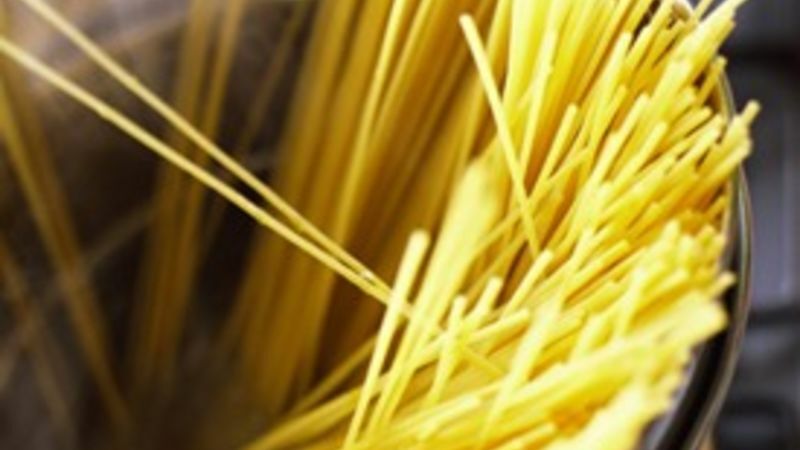 To test doneness, pull a strand of spaghetti from the boiling water and try it. If it's still too chewy or stiff, cook another minute and test again. When it tastes just right, remove the pot from heat and pour both the spaghetti and water into a waiting colander in the sink. Shake the colander gently to remove excess water. Return the noodles to the pot and add a drizzle of olive oil to keep the strands from clumping and sticking. Cover and serve immediately with your choice of spaghetti sauce or cheese toppings.